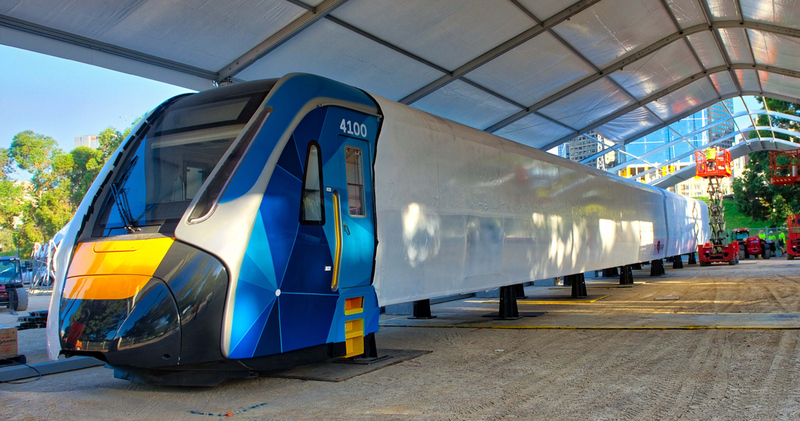 The Victorian State Government has presented the final life-size model of Melbourne’s new High Capacity Metro Train, which will be on public display at Birrarung Marr from 9 February. Premier Daniel Andrews said Victorians provided 2,500 pieces of feedback on the design of the train over the course of 2017 – inputs which have led to 157 design improvements including better hand holds, extra priority flip-down seating and improved bike and pram zones. “In just a few days, Victoria will get their first look at the biggest, most advanced train in Victoria’s history,” the Premier said. Minister for Public Transport, Jacinta Allan said manufacturing of the 65 High Capacity Metro Trains will begin soon at Melbourne’s Newport workshops, creating 175 of the project’s 1,100 local jobs. The trains will be built by the Evolution Rail consortium comprising Downer Rail, CRRC, and Plenary.